Your carpet is one of your biggest investments you can make in your home. With some regular carpet maintenance, you can keep your carpet looking good for years. Below are some DIY tips that are not too difficult or take much time. Place floor mats in front of all entry doors. Spend a little extra on a good vacuum cleaner. If you spill something, blot it up with a white paper towel or towel as soon as possible. Try not to move large furniture around too often. Use area rugs to decorate the room. 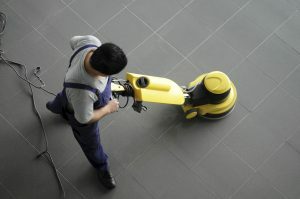 Hire a professional carpet cleaning service to clean your carpets every 6 months. At Horizon, we know stains will happen and carpet will get damaged. Call 602.404.8064 today for a no-hassle, complimentary quote or click on the button below. We proudly service the entire Phoenix, AZ metro area, from Goodyear, AZ to Chandler, AZ.